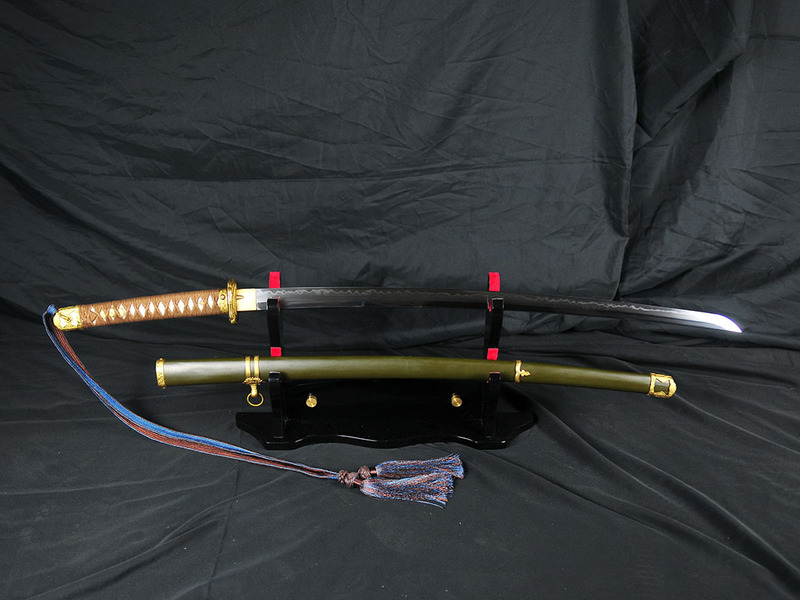 A budget alternative to our high end Military Gunto Sword from Forge Direct - we take a solid bodied (no-hi) Ryujin T10 differentially hardened blade - mount it up in Gunto style WWII fittings, and make it available at a ridiculously low price of just $199.99..! 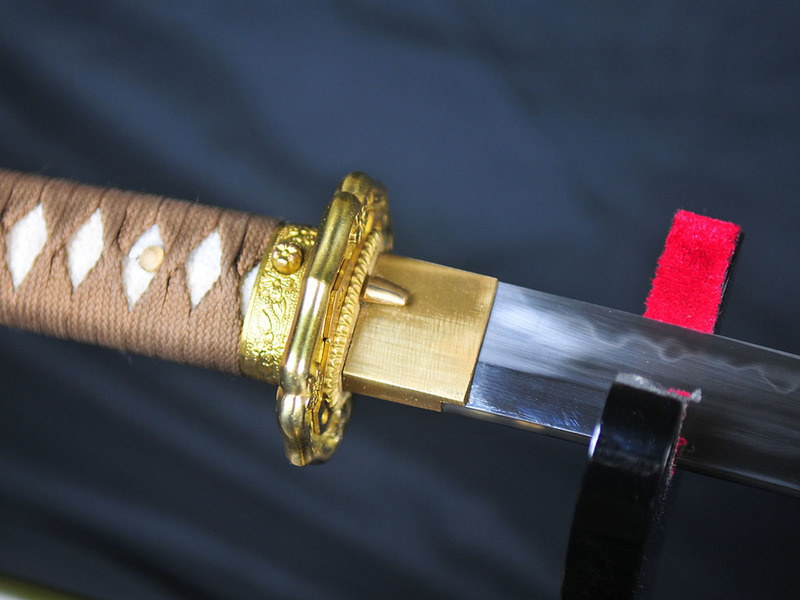 This version is based on the model 98 Shin Gunto that began production in 1938, distinguished by the traditionally constructed tsuka and single hanging point of the saya. 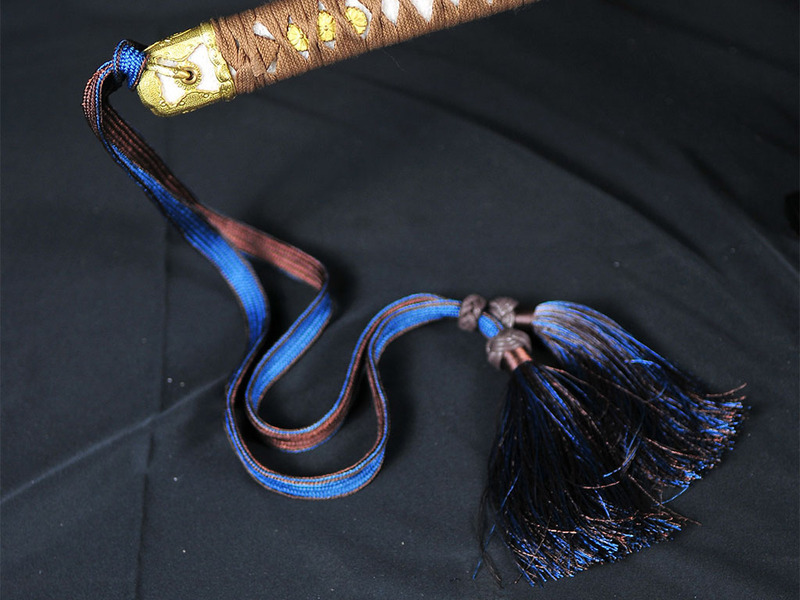 While not a perfect replica, it is much closer to many others being sold online (often for around the $450 mark for a T10 tool steel blade like this) and pays attention to many details - including the scabbard locking push button release mechanism, Japanese Imperial Army tsuba, colored steel scabbard and officers tassel (brown and blue, designating a company or warrant officer rank), all coming together to give it that Gunto look without breaking the budget. 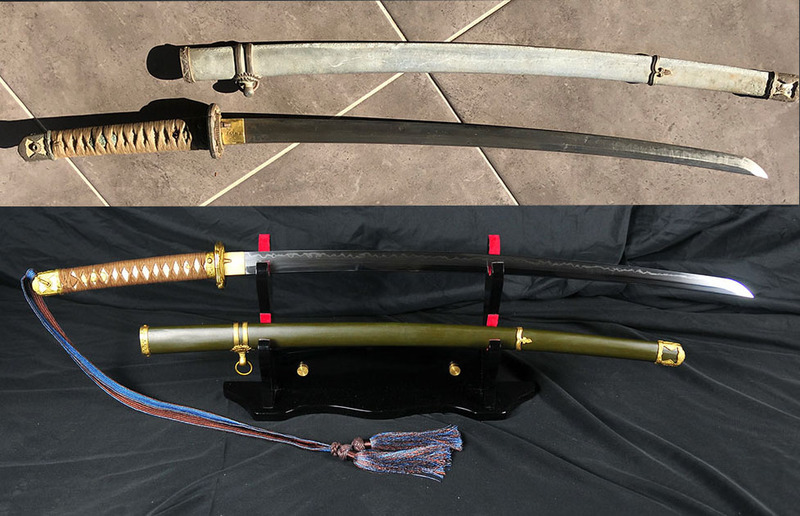 If you check out the product review tab, you will also see one of our customers had the opportunity to also compare its handling to an original Gunto and found that it's handling was identical..! 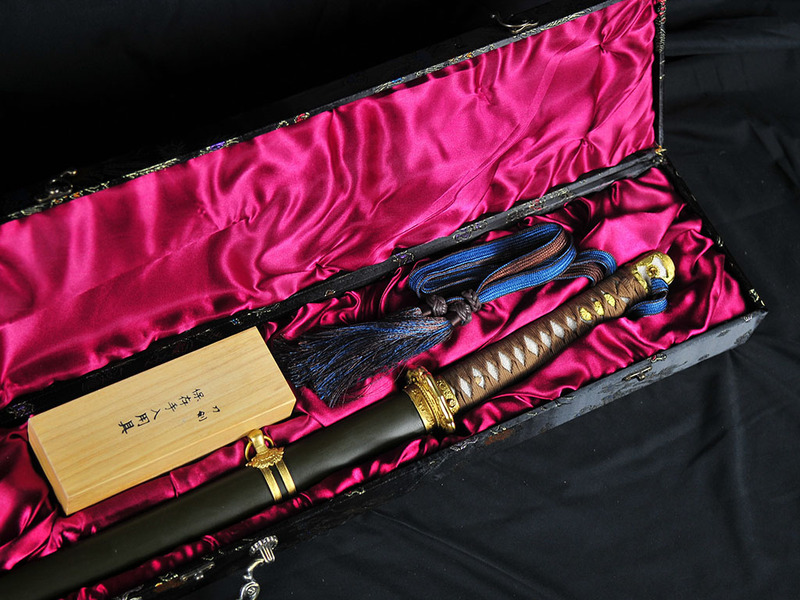 Simply amazing value and a unique addition to any Katana collectors inventory - comes with a display box and budget cleaning kit. Suitable for Backyard cutting and/or display. 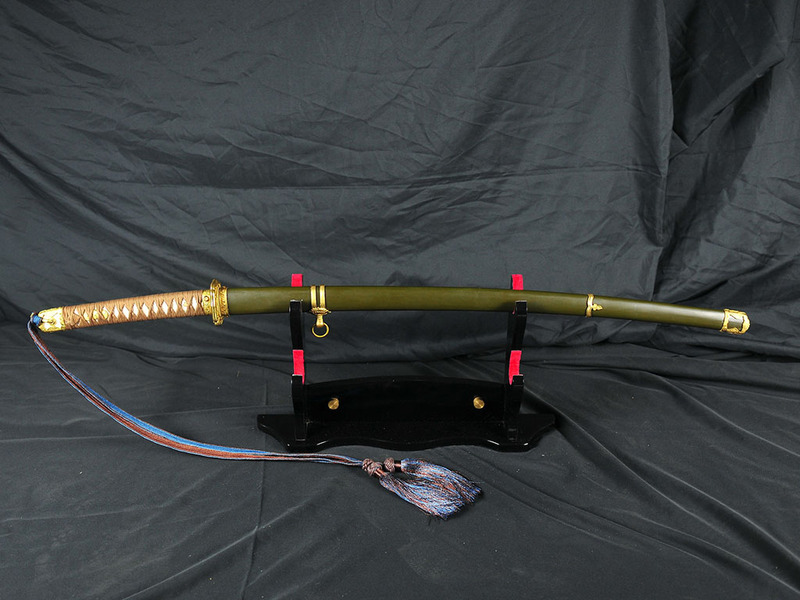 Blade length: 27 1/2", Handle length: 9 3/4", Weight: 2.4 lbs, Point of balance (from point to bottom of handle ): 16"
T10 Tool Steel, Differentially Hardened and Sharpened Katana. Brown Cotton Ito over real rayskin. 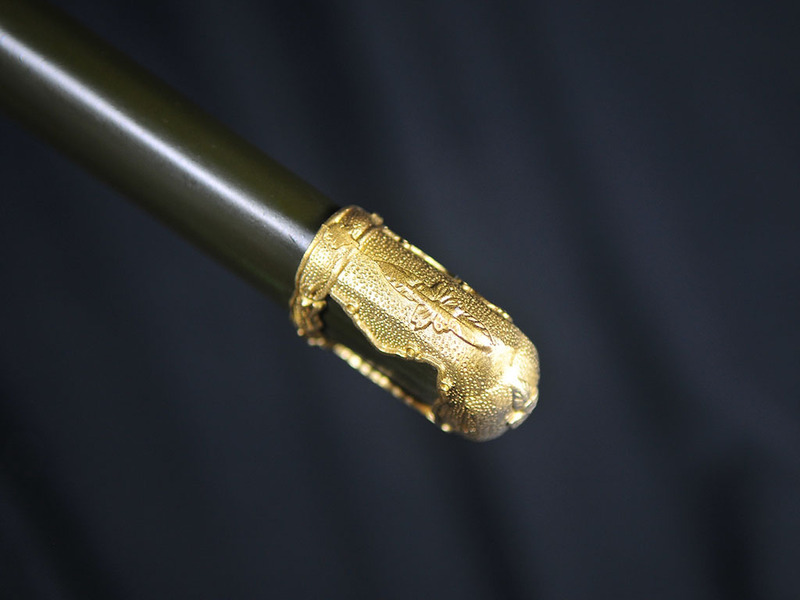 Brass fittings, dark green coated steel scabbard. Upon arrival i broke it open with no hesitation. Pretty happy it came with a sword bag too. Its just beautiful, period. The flower theme, color pallet and blade polish.it passed my hardness and cutting test. Honestly if anybody hasnt bought this, youre missing out on a steal of a deal. 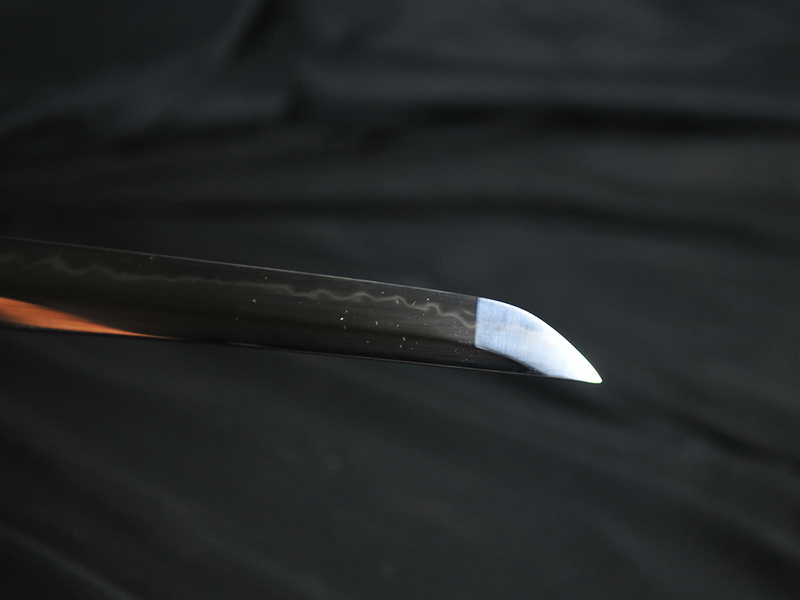 My only gripe is how hard it was to get the receded blade out from the handle but otherwise a 9/10 purchase.